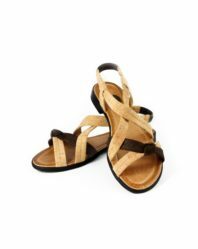 Buy the women’s cork sandals! The upper side is made of soft cork and decorated with colored flowers. The flowers are made of the brown cork and metal studs. 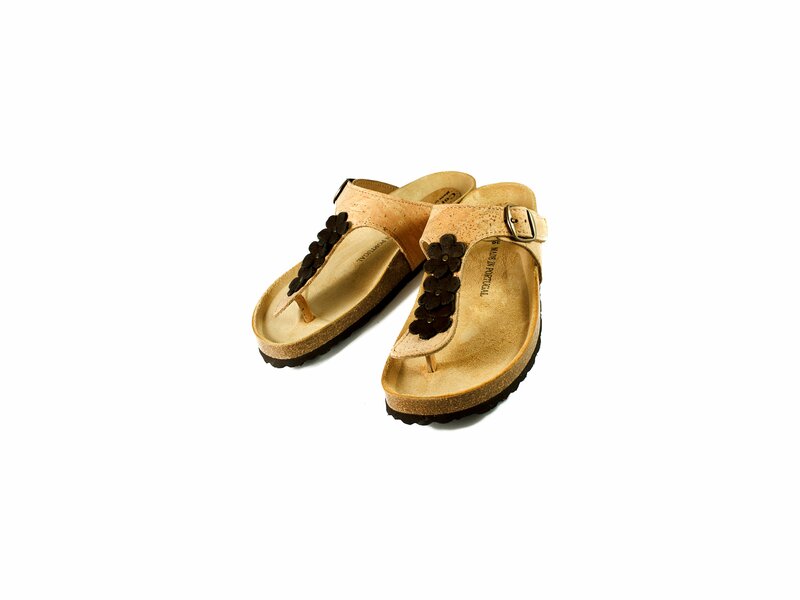 The anatomical footbed is made of cork. The only pair of sandal that i’m able to wear! They are pretty amazingly comfortable… I trully fear the momment when mine will broke since I’m in Canada and I can’t find them here.